OpenSSH helps you to prevent security attacks on your system, allowing you to transfer encrypted information over a network for free. Breaches of security are one of the few downsides of the Internet age and can cost you big time. Thankfully, there are ways to prevent your data being compromised, and the SSH encryption technology provides an almost impeccable solution. 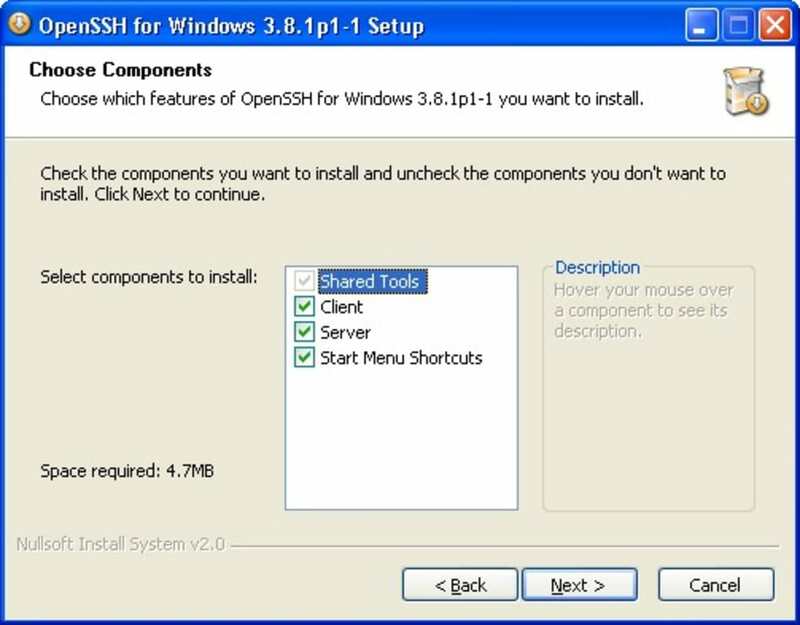 The OpenSSH software includes applications such as SSH service, a client, a public key generator, authentication agent, etc. In practice, all of these programs serve the same function, which is to remotely manage systems that have SSH encryption installed. Thus, once you have provided the username and password using OpenSSH, all aspects of the remote system are accessible. 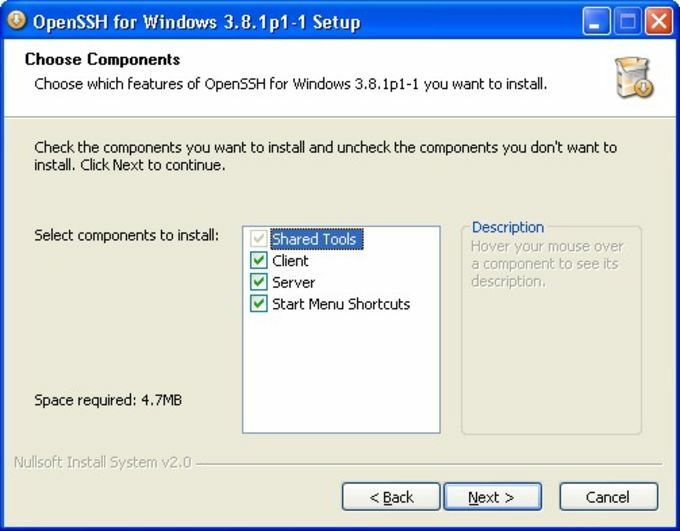 The installation of all the components is done automatically, however, the key must be activated manually with the commands that appear in OpenSSH's program manual. This means you may need to call in the help of an expert if you're not familiar with encryption keys, as it can be a tricky process. All in all, OpenSSH provides a reliable and effective solution for sharing information using SSH encryption, although beginners may find it a little daunting. OpenSSH is a free version of the SSH connectivity tools that technical users of the Internet rely on. Users of telnet, rlogin, and ftp may not realize that their password is transmitted across the Internet unencrypted, but it is. Will delete your PATH variable and break your computer. This installation will replace your PATH system environment variable. To put it simply, this is one of the worst things a program can do and will not only break your command line but the functionality of every program you use. on windows 7, the installer wiped out my PATH. The installer when ran on windows 7, completed without displaying any errors - but - it removed my entire path and replaced it with just the path to the openssh/bin directory. I had to do a system restore to get my machine to operate correctly. Do not run the installer unless you have backed up your path first. Then you can manually update it after the install. What do you think about OpenSSH? Do you recommend it? Why?